Fingerprints is one of biometric identification system. This is because fingerprints have unique and different pattern in every human, so identification using fingerprints can no longer be doubted. But, manual fingerprint recognition by human hard to apply because of the complex pattern on it. Therefore, an accurate fingerprint matching system is needed. There are 3 steps needed for fingerprint recognition system, namely image enhancement, feature extraction, and matching. In this study, crossing number method is used as a minutiae extraction process and template matching is used for matching. We also add alignment point pattern process added, which are ridge translation and rotation to increase system performance. The system provide a performance of 18,54% with a matching process without alignment point pattern, and give performance of 67,40% by adding alignment point pattern process. Abood A A, dan Ghazali S. 2014. Fingerprint Classification Techniques: A Review”. IJCSI International Journal of Computer Science Issues. Vol. 11. Galar M, Derrac J, dan Daniel P. 2015. A survey of fingerprint classification Part I: Taxonomies on feature extraction methods and learning models. Science Direct Journal. KNOSYS 3069. No. of Pages 22. Model 5G. Rizal I, Achmad H, Hadi M N. Identifikasi Sidik Jari MenggunakanTeknik Pencocokan Template Tapis gabor. Jurusan Teknik Elektro Fakultas Teknik Universitas Diponegoro Semarang. Ramoser H, Wachmann B, dan Bischof H. Efficient Alignment of Fingerprint Images. Advanced Computer Vision. Nagathane R K, dan Fadewar H S. 2015. Matching of Altered Fingerprint using Minutiae Technique”, IJARCSSE.vol. 5, Issue 7. Denny Alriza. 2017. Sistem Pengenalan Sidik Jari Menggunakan Metode Template Matching. Barham Z S, dan Mousa A. 2011. Fingerprint Recognition using Matlab. Bachelor Diss. Mohamad Reza Syahriar. 2017. Klasifikasi sidik jari menggunakan metode minutiae. Nur Wakhidah. Perbaikan Kualitas Citra Menggunakan Metode Contrast Streching. 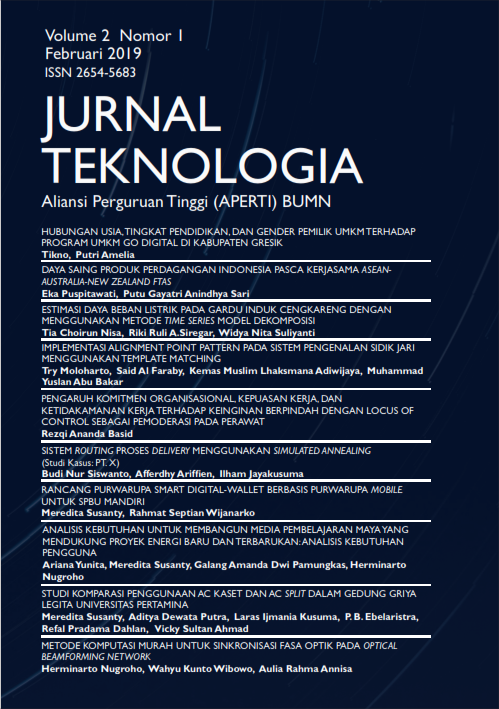 Fakultas Teknologi Informasi dan Komunikasi Universitas Semarang. Ismail A. 2009. Genetic Programming Framework for Fingerprint Matching. (IJCSIS) International Journal of Computer Science and Information Security, Vol. 6, No. 2.